Most of the troubles of a man are the ones he created for himself. Most times, we pass through difficulties and wish we never did, or wish we had done something another way, better still, wish the hands of time can be reversed. Lot of times, we look back and blame others for our woes, we think the people that care just little or not at all are our weaknesses or reasons for our own downfall, without looking at ourselves or evaluating our own selves. We refuse to accept the truth that people's support and care towards us are only privileges and not our rights. The earlier we discovered that no one owes us anything, the better. 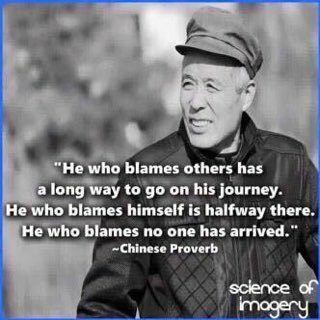 Its better we discover very early that we are responsible for our own shortcomings and failures, the better and faster we can accept our own errors as our faults, plan better, strategize more technically, hold the bull by the horns and face life squarely.